Join Ann Curry for dramatic reunions between people who saved each other’s lives in the midst of the Vietnam War, as a three tour US Army officer searches for the Helicopter pilot who brought him out alive, and a soldier sets out to thank the young MASH surgeon who saved him from long term disability five decades ago. More than two million U.S. soldiers served in the Vietnam War that lasted nearly a decade from 1964. It was a gruelling conflict that divided Americans and killed nearly 60,000 service members, and yet two men who survived found that even in the horrors of war, there are acts of humanity that last the test of time. 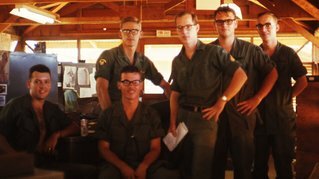 Dave Johnson (right) during active duty in 1966.Courtesy Photo Dave Johnson was born in 1940 in Hannibal, Mo., grew up on a farm near Hull, Ill., and graduated from the University of Illinois. 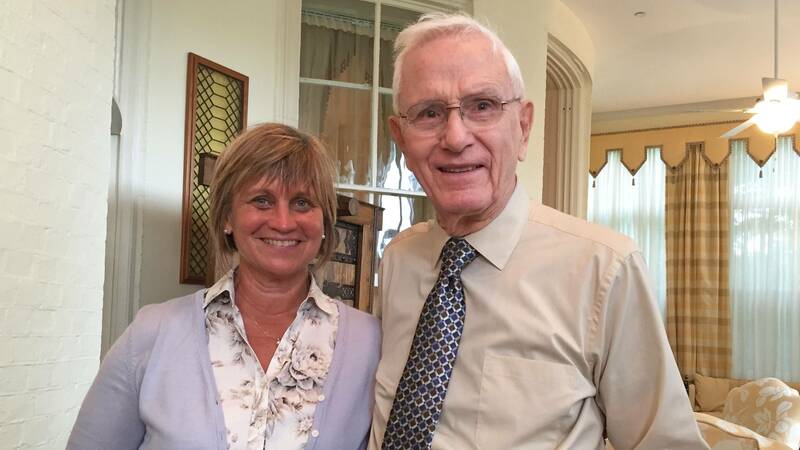 He was commissioned a Second Lieutenant of Infantry through the Army ROTC program in June 1963. Dave expected to only serve three years in the army before becoming an engineer, but two years later, he was on his way to the first of three tours of duty in Vietnam. Dave was assigned to the famous 101st Airborne Division at Fort Campbell, Ky., and married his beloved wife Judy in November 1964. 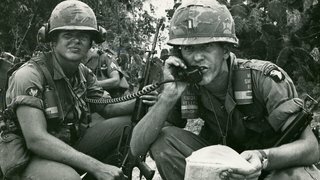 A few months later, Dave and Judy learned that his brigade might be called for duty in Vietnam; in July 1965, Dave began his first Vietnam tour. Upon Dave’s return, Judy found him to be a different man, changed by what he had witnessed and deeply affected by the deaths of some of his fellow soldiers. During his second Vietnam tour in 1968, Dave was a Captain and served as a Rifle Company Commander. After six months, he injured his foot when he stepped on an improvised anti-personnel land mine in a rice paddy and was sent back home. In 1971, President Nixon declared that the U.S. was drawing back from Vietnam and would soon be out altogether. Dave was surprised to then receive orders to return for a third tour to help advise the South Vietnamese forces stationed in the vicinity of Moc Hoa near the Cambodian border. This time, he would not just be leaving Judy, but would also be saying goodbye to his three-year-old daughter, Laurie, and one-year-old son, Jeff. 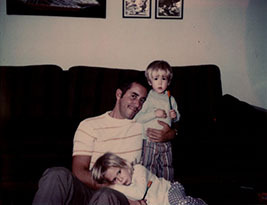 Dave Johnson at home with his children.Courtesy Photo While flying in a helicopter on a reconnaissance mission over Cambodia in July 1972, Dave and five other servicemen found themselves under attack. When the helicopter was hit, they were forced to make an emergency landing. Thankfully, they survived the crash, but once on the ground, they struggled to avoid increasing enemy gunfire. Dave and his team sent a Mayday call, which was received by Bruce Grable, a Chinook helicopter pilot who put his life on the line to rescue the men. 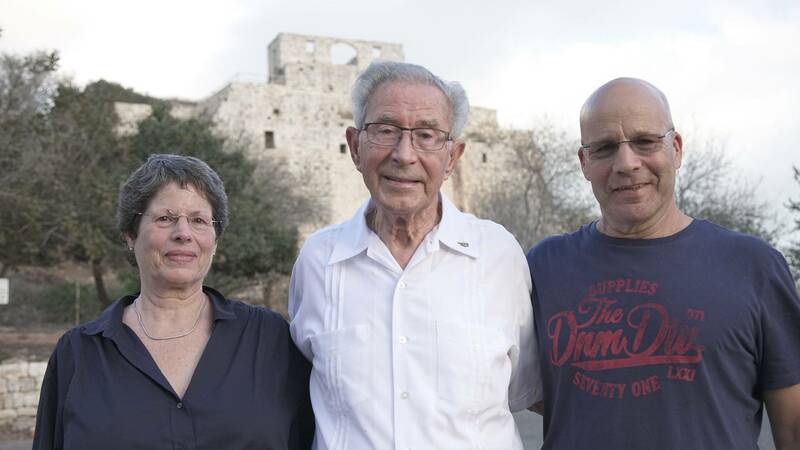 Without Grable’s act of heroism and generosity, Dave believes he wouldn’t be alive. 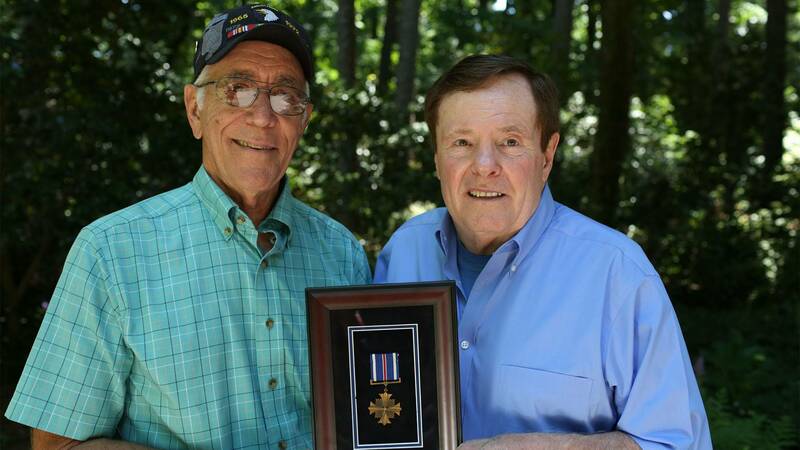 After returning from Vietnam, Dave went on to serve on active duty in the U.S. Army for over 26 years, and was deployed on many assignments around the U.S. and in Australia. 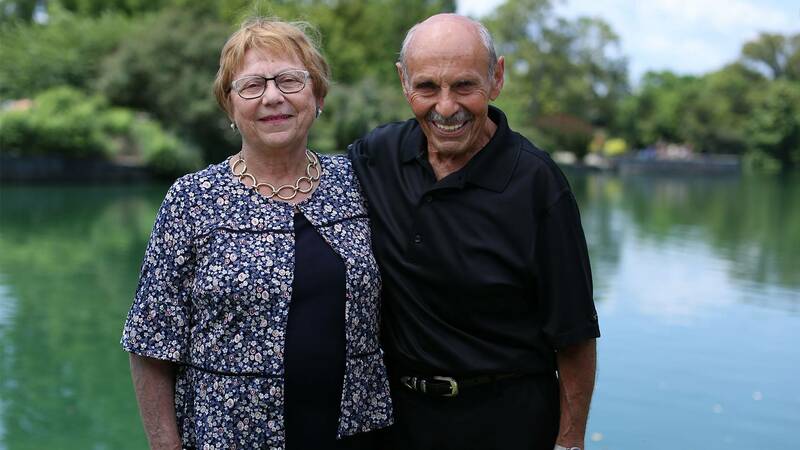 In their happily married life, Dave and Judy have lived in 28 different houses and are now enjoying retirement in The Villages in Florida. 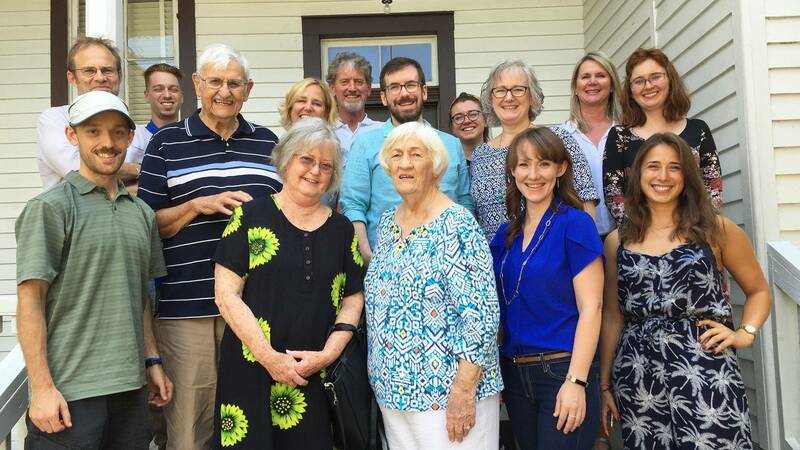 They have two grandsons — one studying at the University of Oregon, one working in Portland — and a granddaughter at dentistry school in Washington, D.C. Dave has written a book for his grandchildren about his experiences in Vietnam, which he describes as the most defining event of his life. After viewing season one of "We'll Meet Again," Dave reached out to PBS and the series producers to ask for help in finding Bruce. Roger Wagner, now 71 years old, was born and raised in Osakis, Minn. By the age of 20, he had been transported from the Great Lakes of the Midwest to the war in Vietnam. 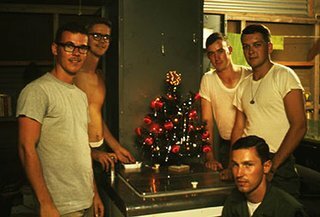 Roger and colleagues during Christmas in Vietnam.Courtesy Photo Roger had poor eyesight but scored well in his Army testing during basic training. That enabled him, after training, to be assigned as a finance clerk at Redstone Arsenal in Huntsville, Ala., responsible for paying the wages of his fellow servicemen. Wanting to do more and with a sense of duty, he volunteered to go to Vietnam and arrived there in October 1967. Roger had expected his low-risk occupation to keep him out of the line of fire, but that all changed close to Christmas, just a month after his 21st birthday. Roger and his fellow clerks spent about one night every two weeks pulling guard duty watching the perimeter of their compound. Without ever receiving any training on the weapons used in their foxholes, many of them became concerned about being easy targets should any hostility occur. On a weekend morning of familiarization training, designed to teach the clerks about the weapons, Roger and his counterparts came under fire from the jungle. He was struck above the knee by a bullet that tore apart his artery. With no feeling in his lower left leg, Roger headed into surgery after being told that he was about to have his leg amputated. When he awoke later that day, he was overjoyed to discover that a young surgeon named Dr. Katz had performed something of a miracle, taking a vein from Roger’s right leg and grafting it into the split artery, thereby saving his leg. Roger has spent 50 years wondering about that doctor, and if he would ever be able to find him and thank him for what he did. Roger at work in Vietnam.Courtesy Photo Roger returned to America and, following his recovery, has gone on to enjoy a successful and very active life and career. Before entering the Army, he had played varsity tennis at Minnesota State University, Moorhead in 1965; upon his return to college after being discharged, he once again played varsity tennis in 1969 and 1970. After graduating, he went on to run his own photography business for 12 years, working with “The Ice Follies” and “Sesame Street Live” shows while living in Chicago and Portland, Oregon. Roger later went to work with the United States Postal Service in Portland, then transferred to the Las Vegas area, where he eventually retired. Roger now lives in Nevada. Roger was watching the first season of "We'll Meet Again" and responded to the request for viewer stories. The producers were intrigued and decided to help Roger on his quest to find Dr. Katz.